If you’ve ever participated in forming a community, or talked with people who have, you probably have some idea of what’s involved. And if you have some idea of what’s involved, you’ve probably asked yourself, why would anyone in their right mind want to do such a thing? It’s like starting a family or having a child. You really have no idea what you’re in for, and that’s probably a good thing because you might not do it otherwise. The reasons for starting a community are not dissimilar from those for starting a family or having a child: Desires for intimacy, to be bonded to other humans, to be part of the unfolding story of humanity, to contribute to and have hopes for the future, to feel like your life matters, to be intimately involved and watch in fascination the growth of another being, or, simply, because it’s something you just need to do. But it’s intensely hard work, and it doesn’t always work out the way you thought it would. The sense of intimacy, satisfaction, and meaning that living in community provides, being part of a village or a tribe, is something that is clearly lacking in most of mainstream society. Most of the blueprints for building community have been discarded. There are pockets around the world where traditional cultures and village life remain intact, but in most places it needs to be recreated, and in many places we’re already several generations removed from the experience. Part of the work of the Fellowship for Intentional Community is documenting this recreation, and this issue of Communities is focused on this endeavor. But you don’t have to help start a community to be part of this, and indeed there are plenty of reasons not to join the ranks of the pioneers. One in particular is that there are lots of communities already in existence and almost every one of them needs help. It’s not a good idea to move to a community expecting it to change to suit you, but it’s inevitable that the more you invest yourself in a community, while also accepting the community for the unique being that it is, the more you will come to suit each other. 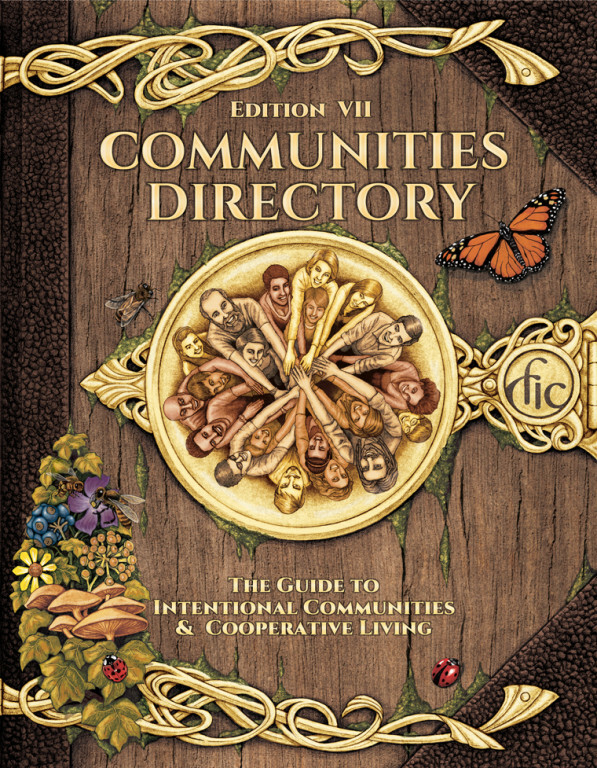 Work is underway to produce the 7th print edition of the Communities Directory. Preliminary work for this has been focused online. Over the last few months we’ve been working hard to have all communities in the online Directory update their listings, and we’re going to start requiring that groups update or verify their listings at least once per year. We’ve also been tweaking the new listings questionnaire to try to make sure communities are providing the most useful information possible. We ran a highly successful crowdfunding campaign to finance the new Directory, raising almost $12,000 from over 170 donors, through online and offline channels. It was gratifying and humbling to see importance of this work reflected in this outpouring of support. The Directory is an important road map to finding those places where the blueprints are being recreated. It serves not only those looking to join a community, but also those potential pioneers who can learn from the trailblazers before them. The Directory becomes a star chart, in which communities are the points of light guiding us to new hope. It also helps define the movement and lets each community know that it’s not working in isolation. 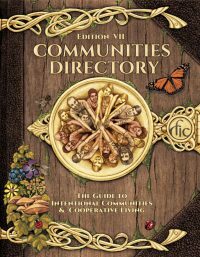 The Directory is the keystone in the support we offer for the development and promotion of intentional communities. The bridge to cooperative living also includes Communities magazine, as well as our Best of Communities series, which pulls together the most helpful articles on the most important topics in building community. The Community Bookstore isn’t just any online store; it includes only titles related to intentional community and cooperative culture. Ic.org’s classifieds are another way we help people find community, and events we host or cosponsor are also essential aspects of the work we do to make sure you have the resources you need to get where you want to go. This is our mission, to offer lifelines to those out there immersed in the challenges of recreating society. We couldn’t do it without your support. Sky Blue (sky [AT] ic.org) is Executive Director of the Fellowship for Intentional Community. Stevann, this is a global directory. I would like to know if there are e-book copy of the magazine Community or a store im Montreal where I could get it because since I live in Montreal each copy would cost me 20$ and I definitely can’t afford that. Also, does this directory only include US community or will I find dome located in Canada as well?